One of Division 2‘s big improvements over the first game is how it treats endgame content. There’s a lot more to sink your teeth into once you have reached the level cap. One of the main parts of the endgame is the World Tiers. Here’s everything you need to know about World Tiers in Division 2, including what they are and when number 5’s release date is. They are levels of sorts in Division 2 that you can progress through once you’ve reached level 30. You need to complete certain objectives to reach each one, with you being able to get better gear in each one. Ubisoft are also due to release more endgame content over the coming weeks and months to give you more to do in the endgame. You will also need to complete the final Stronghold, Tidal Basin, which is due to be added to the game soon. Ubisoft has said that it will come as part of a free update in the coming weeks, so you will not have to wait too long if you’re approaching that part of the endgame. We will be sure to let you know when you can reach the last of the World Tiers in Division 2. 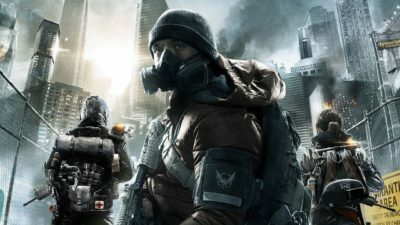 That’s everything you need to know about World Tiers in Division 2, including what they are and when World Tier 5’s release date is. For more tips and tricks on the game, be sure to check out our Division 2 wiki guide.